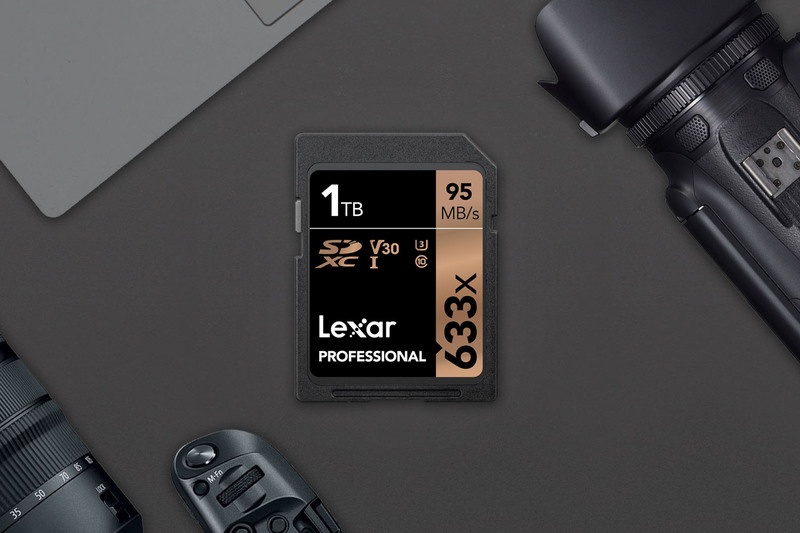 San Jose, USA, January 9, 2019 – Lexar, a leading global brand of flash memory solutions, today announced the new Lexar® Professional 633x SDXC™ UHS-I card with 1 terabyte (1TB) of memory. Shoot and record more of what you love without changing cards with this high-capacity 1TB memory card that supplies the space you need for capturing all the action. Designed for your mid-range DSLR, HD camcorder, or 3D camera, the Lexar® Professional 633x SDXC™ UHS-I card lets you quickly capture, and transfer high-quality photos and stunning 1080p full-HD, 3D, and 4K video**, with read speeds of up to 633x (95MB/s)*. This Class 10 card leverages UHS-I technology to deliver high-speed performance to get the shot you want, while providing the reliability you need. Lexar will be exhibiting at this year’s CES, Las Vegas, Nevada January 8th – 11th, the world’s largest consumer technology show. For more than 20 years, Lexar has been a trusted leading global brand of memory solutions. Our award-winning lineup includes memory cards, USB flash drives, card readers, and solid-state drives. With so many options, it’s easy to find the right Lexar solution to fit your needs. All Lexar product designs undergo extensive testing in the Lexar Quality Labs with more than 1,100 digital devices, to ensure performance, quality, compatibility, and reliability. Lexar products are available worldwide at major retail and e-tail stores. For more information or support, visit www.lexar.com. Longsys – a leader in consumer NAND flash applications, is committed to supporting Lexar in its quest to reach new achievements in high-performance, quality, and reliability while maintaining its position as a leading global brand in memory cards, USB flash drives, readers, and storage drives for retail and OEM customers. * Up to 95MB/s read transfer, write speeds lower. Speeds based on internal testing. Actual performance may vary. X=150KB/s. ** 4K video Based on 64GB, 128GB, 256GB, 512GB and 1TB capacities only. [Product page only:] Product appearance, software offerings, and packaging may vary depending on ship date and available inventory.